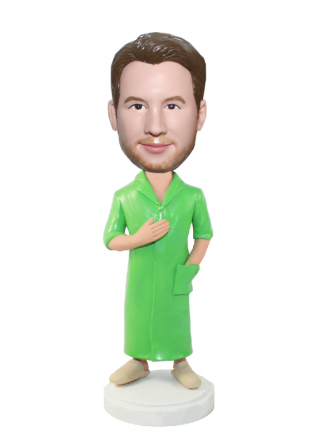 customized casual male bobblehead doll is wearing a long light green pyjamas. 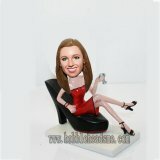 Do you know the man around you who are most like the bright color outfit than the black and white. 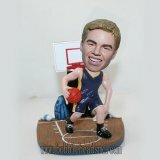 Show him this custom male bobblehead, he is gonna to love it.